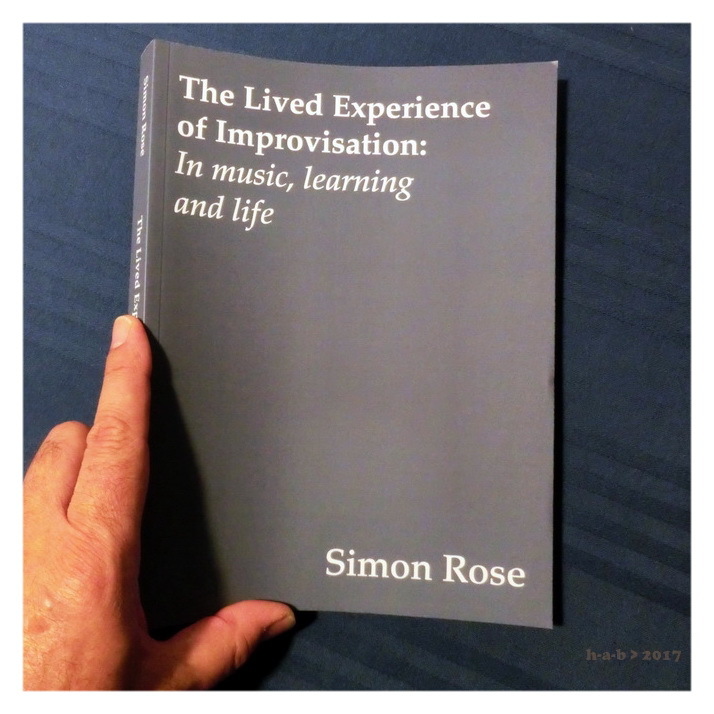 Ci sono estese interviste a Roscoe Mitchell, Maggie Nicols, George Lewis e alla compianta Pauline Oliveros nel libro di Simon Rose The Lived Experience of Improvisation, un importante studio sulla persistente presenza dell'improvvisazione in ambito musicale e artistico, letterario ed educativo. Lo pubblica a Bristol, in ambito accademico indipendente, Intellect Ltd.
Improvisation is crucial to a wide range of artistic activities - most prominently, perhaps, in music, but extending to other fields of experience such as literature and pedagogy. Yet it gets short shrift in both appreciation and analysis of art within education. This is in no small part due to our tendency to view the world in fixed categories and structures that belie our ability to generate creative, groundbreaking responses within and between those structures. The Lived Experience of Improvisation draws on an analysis of interviews with highly regarded improvisers, including Roscoe Mitchell, Pauline Oliveros, and George Lewis. Simon Rose also exploits his own experience as a musician and teacher, making a compelling case for bringing back improvisation from the margins. He argues that improvisation is a pervasive aspect of being human and that it should be at the heart of our teaching and understanding of the world.